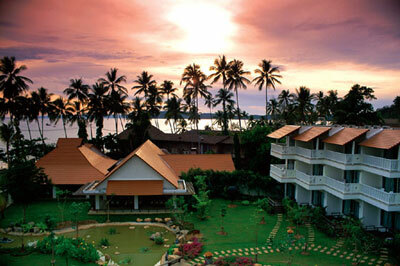 Ao Nang Villa Resort Krabi is located on Ao Nang Beach. The resort consists of well furnished and comfortable rooms and villas. Relax by the swimming pool or take a short walk to the white sandy beach of Ao Nang bay, the main beach of Krabi and one of the most beautiful crescent sunset beaches of Thailand. The Ao Nang Resort is family friendly, conveniently located and offers excellent value for money, making it one of Krabi's most popular resorts. 80 Air-Conditioned Rooms, Restaurant, Coffee Shop, Bar, Poolside Bar, Conference Facilities, Swimming Pool, Laundry Service, Safe Deposit Box.